the calendar cuff bracelet® features dalla nonna's signature calendar pendant, derived from an old tie pin of jess' grandpa howard, set on a skinny open cuff bracelet. 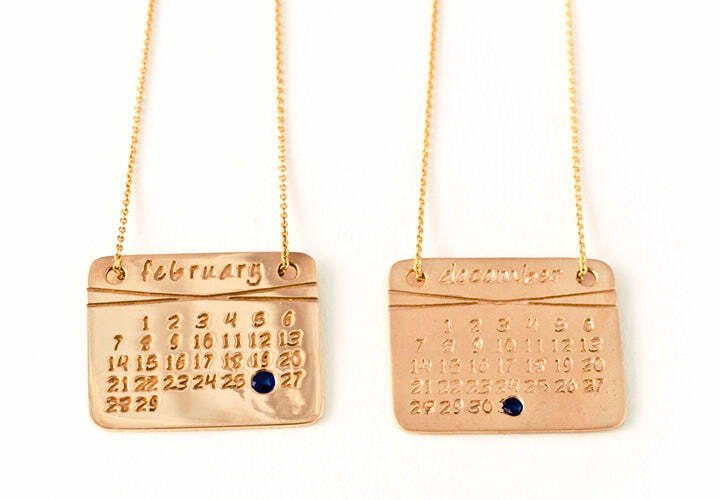 each piece is executed in 14k rose gold plate over sterling silver (the pendant's dimensions are about 1" x 3/4" and the cuff is approximately 3mm wide) and accented with a sapphire in a color chosen by the wearer to commemorate a date of her choosing (birthday, birth of a baby, graduation, engagement, anniversary, wedding - the list is endless!). please note: this item will ship in 3-5 weeks. 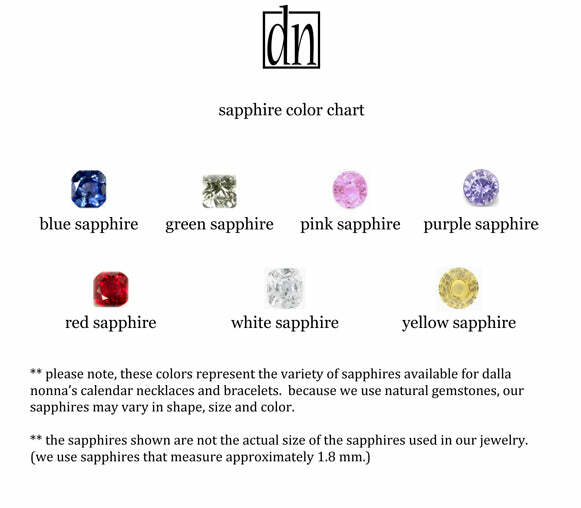 to view a chart of the sapphire color options, please click here. to view a comparison of the shiny and matte finishes, please click here. in a rush or can't decide? order a gift card!